Cure Split Ends With These EPIC Products For Frizzy Hair! First published November 6, 2018 , last updated April 8, 2019 . Reading time: 6 minutes. With winter just around the corner, managing your hair can be a problem. As the moisture is sucked out of the air, your hair becomes dry, which results in increased frizziness. So, if you are looking forward for frizz free hair, and get rid of those split ends, you need to invest in some products for frizzy hair. Well, before you shop for any hair care products, you need to make sure that you know your hair type. Generally, if you don’t know your hair type and have frizzy hair, you can use products for frizzy hair without any issue. You can also use products for normal hair to be on the safe side. In case you are wondering about which product to choose if you have frizzy hair, here are our picks! The list of best products for frizzy hair is incomplete without including Garnier. So, if you have been using Garnier products, you already know how great they are. In case you don’t (yet! 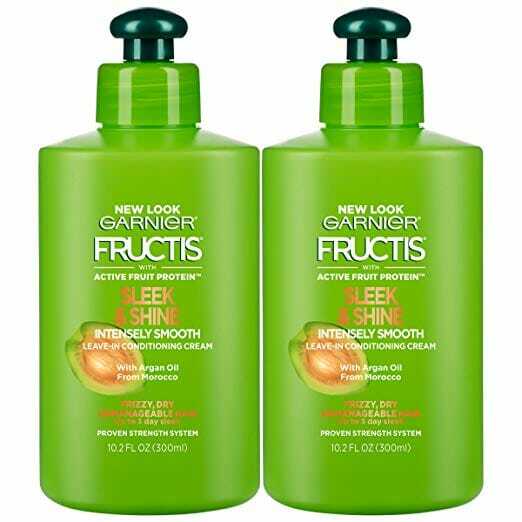 ), you can try out Garnier Hair Care Fructis Sleek & Shine Intensely Smooth Leave-In Conditioning Cream. This hair conditioning cream from Garnier comes in three sizes – 2 count, 3 count and 10.2 fl oz. One of its is that it provides frizz control even in 97% humidity. This is great not only for winters, but also for summers where the humidity is high. Another advantage is that it contains argan oil, which naturally nourishes the hair. Now that you know that Garnier has one of the best products for frizz hair in the market, check it out. It will help you manage your hair more easily, and get rid of those annoying split ends. Your hair is made out of keratin. If the keratin content falls, your hair can become frizzy and have split ends among other problems. It can also become rough and hard to comb. This is why TRESemmé Expert Selection Heat Protection Spray, Keratin Smooth, tops the list of best products for frizzy hair. With the help of this spray, you can make your hair more manageable. Plus, this spray also protects your hair from heat damage. 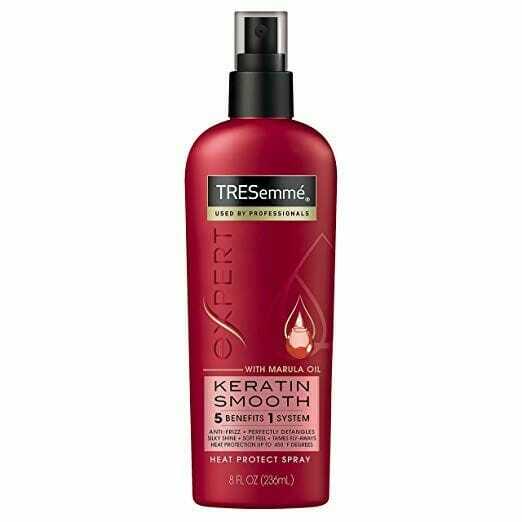 The TRESemmé Expert Selection Heat Protection Spray also makes it easy for you to style your hair using curling iron. In addition to removing frizz, it also repairs your hair, increases shine, detangles your locks, and adds softness to your curls. After weighing the pros and cons, you can see why this is a great choice for all hair care enthusiastic. If you are looking forward to check out the reviews or buy this product, visit this link. 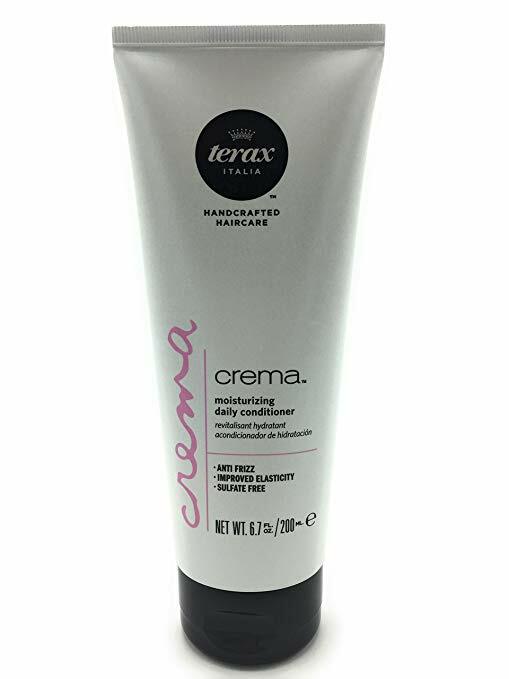 One of the best features of Terax Crema Original Moisturizing Daily Conditioner is that anyone can use it. It is a leave-in hair conditioner, meaning you need to let it sit on your hair. Also, it is free from silicone and paraben, which makes it natural and safe for all hair types. Even if you blow-dry your hair instead of towel drying it, you will have a soft and shiny hair if you use this. It helps with tangled locks and keeps your hair frizz-free making it one of the best products for frizzy hair. 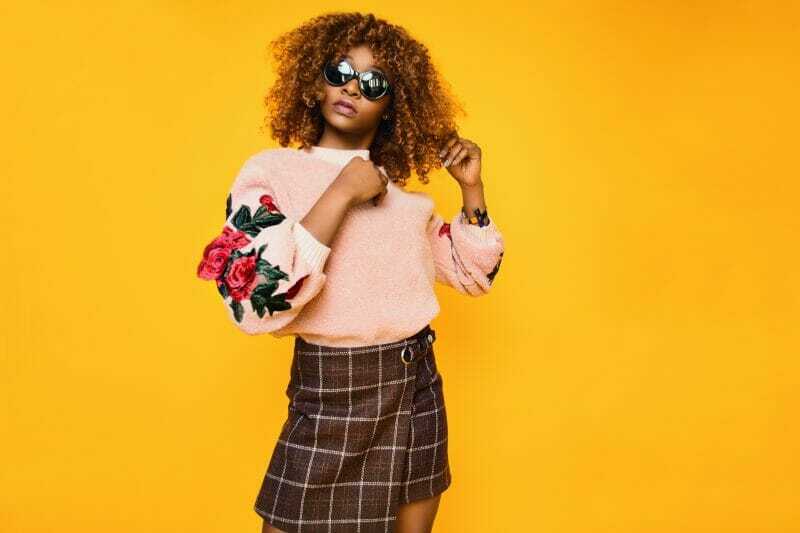 If you are looking for a hair conditioner, which is cost effective, is recommended by 90% of its users, you need to check this product out now! When it comes to choosing products for frizzy hair, you can get confused with all the options available in the market. However, if you know your hair type, and what you want, choosing a specific product will be easier for you. Looking for more tips to get rid of those dead ends? Jump over here. If you’re searching for even more conditioning, check out these olive oil masks, they will make wonders for your hair.